Go South on the Maloti Route. 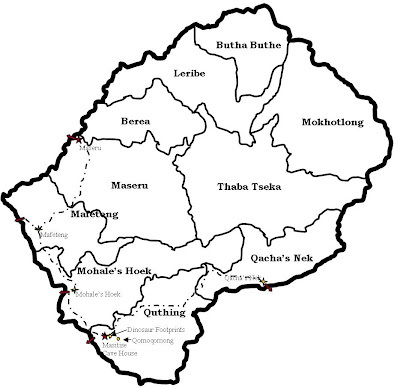 Pass through Mafeteng and Mohale’s Hoek, enter Quthing district and follow road till you reach Masitise (before the camptown) At Masitise there will be two junctions, pass through the first junction for Masitise High School and turn right when you get to the junction for Masitise Primary School. (There will also be a sign for Masitise Cave House.) Stay right on the road and follow it to the Primary school, through the field and to the church. The Cave House is located on the Church compound. 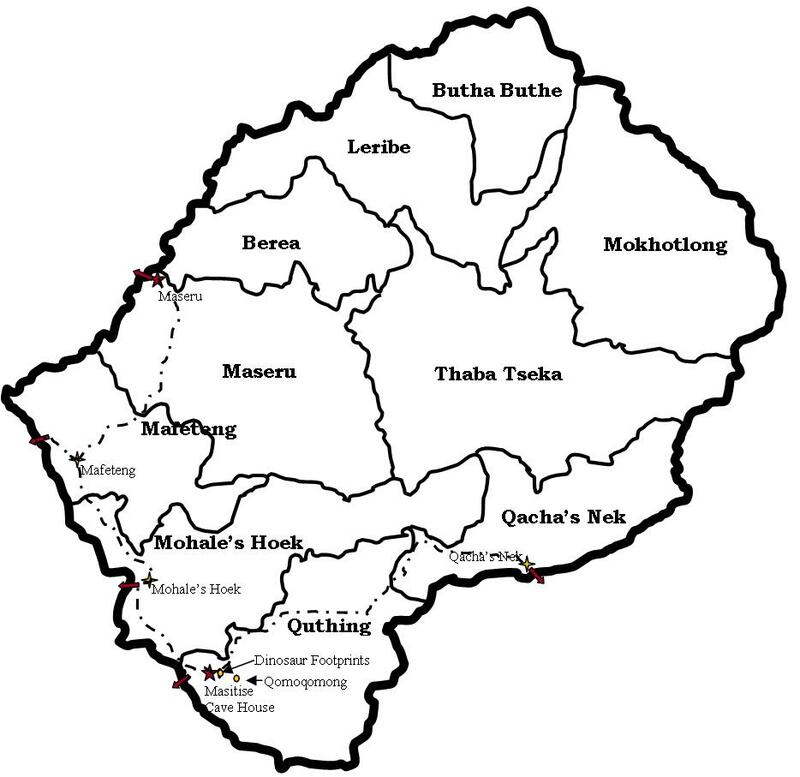 Go West from Qacha’s Nek and follow the Maloti Route through Mphaki and Mt. Moorosi. 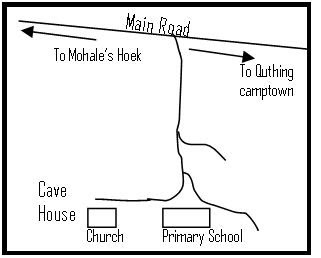 You will pass through Moyeni, follow the road and turn left when you get to the Junction for Masitise Primary School. There will also be a sign for Masitise Cave House. Stay right on the road and follow it to the Primary School, through the field and to the church. The Cave House is located on the Church compound.